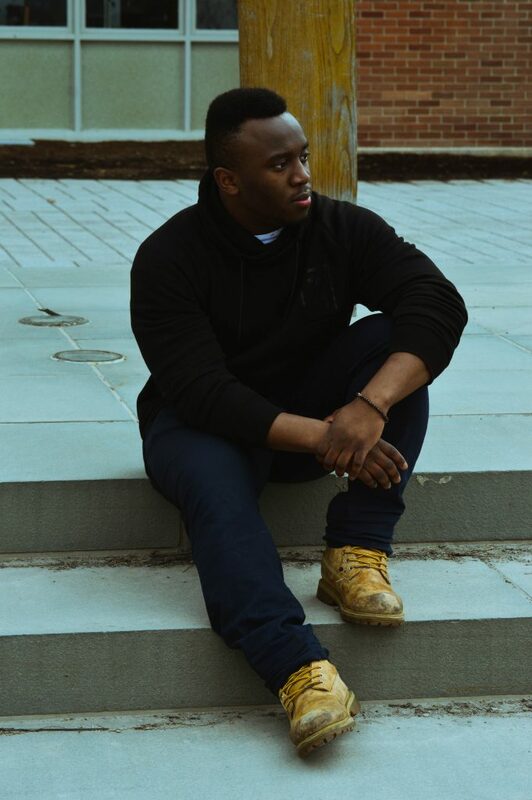 Courntey Mitchell/PRISM Photographer Oluwafemi Popoola, also known by his stage name Frank Pierce, is a first-year graduate student studying pharmacy. He is also Sony-signed DJ-producer with over half a million monthly listeners on Spotify. When he’s on campus, Oluwafemi Popoola, a first-year graduate student studying pharmacy, just goes by Femi. But during breaks, he doubles as Frank Pierce, a Sony-signed DJ-producer on the rise. Ever since his was a kid, Popoola has had a love for music. He is a classically trained pianist and also plays the guitar, bass, drums and saxophone. When he’s working on music, Popoola said he assumes the persona of Frank Pierce. This plays into the interesting duality of Popoola, the student, and Frank, the artist. To him, they feed off each other, his education and his art. When it comes to managing the two sides of his life, Popoola said there is no balance. A quick look at Frank Pierce’s Spotify page will show you that since 2015, he’s amassed over half a million monthly listeners. His 2017 single, “Vibe” featuring Famba and Emily Bonabon, gained over 20 million plays in a little under a year. However, Frank Pierce isn’t Popoola’s only musical endeavor; he’s also a part of the musical duo, JUSCOVA. Popoola said his biggest musical influences are fellow DJs such as Calvin Harris, Avicii, David Guetta and Zedd. In addition to DJing, Popoola is also a songwriter. He said he strives to be like Drake and superproducer Max Martin, who’s worked with Taylor Swift, Katy Perry, Ariana Grande, The Weeknd and more. Digging into his Nigerian roots, Popoola wants to incorporate the Afro sound into his work.